Morey-Saint Denis is just south of Gevrey-Chambertin and often lives in its shadow. Yet, the wines are often among the favorites of people. 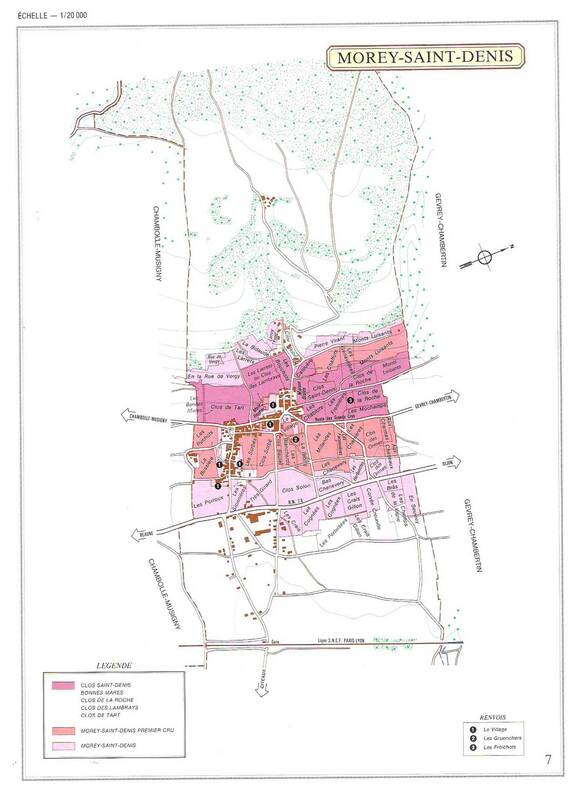 There are 5 red Grand Cru vineyards in Morey-Saint Denis. The wines are so appealing, however, that the town shouldn’t take a back seat to Gevrey-Chambertin. Plus, there is a very small amount of white wine made there. It is rare, but the good ones are worth finding. We have 3 winemakers who make wine from grapes grown in Morey-Saint Denis. One makes a richer style with “international” influence, one makes a great example of their white wines, and the last makes some excellent examples of the Grand Crus. Please call us to learn more about our Morey-Saint Denis Wines and their availability.